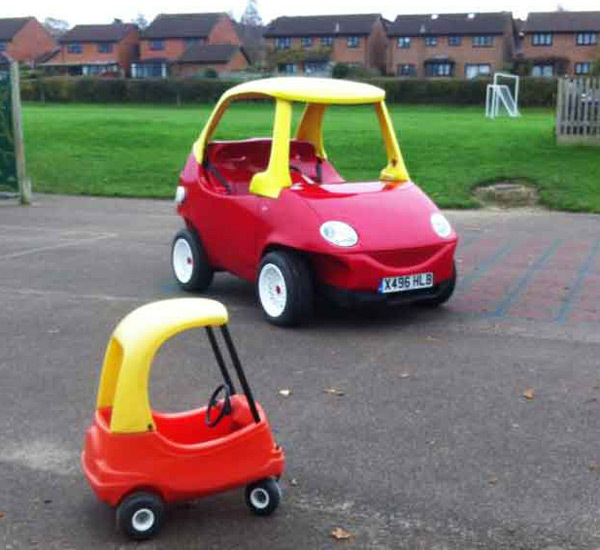 Forget about prestige vehicles, the ultimate way to turn heads on the road has been discovered by one UK mechanic as he builds his very own adult sized version of the very popular Little Tikes Cozy Coupe! Who would have thought? 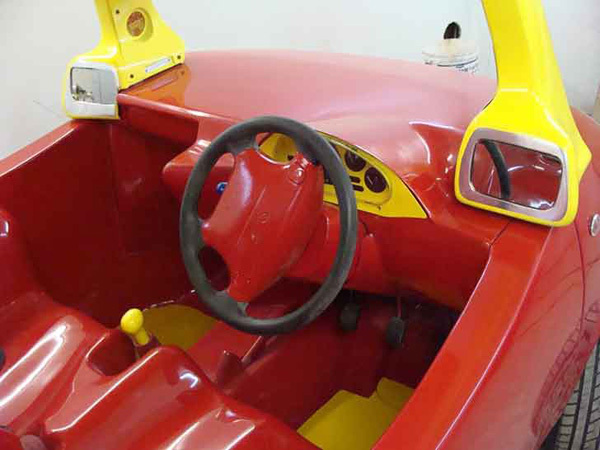 UK mechanic John Bitmead did, and set about converting a Daewoo into a replica of the much loved children’s toy with some help from his friend and his brother. Five months later they had created a set of new wheels looking nothing like a Daewoo, the ultimate coupe car travels at speeds up to 90km/h and is completely street legal, with the handy additions of brakes, airbags and mirrors. There is little doubt in my mind this ride is destined to be hit with the big and little kids as much as its miniature counterpart. This is a remarkable ride built for only two – just like the original. All details have been replicated right down to the moulded seats, oversized cup holders, tall sunny yellow roof and glassless windows. Though not an entirely practical vehicle in the sense of ferrying multiple kids around or even getting about in certain weather, I’m quite sure you could recoup the project funds by selling tickets for rides up and down the street, just for the fun factor. The video below shows just how awesome this car is, my seven-year-old has watched it over and over and thinks it’s just the coolest thing!